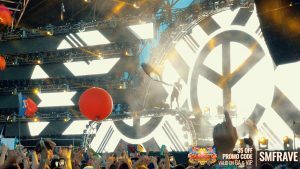 Sunset Music Festival 2019 is just a few months away, and with a huge phase 1 lineup reveal, demand for SMF 2019 tickets is high. There are different types of tickets available, so get the details here and pick up your passes ASAP for the best prices (they go up as the festival gets closer). Get info on payment plans here if you want to lock in your tickets now and pay over time. This is the most common and popular ticket type. 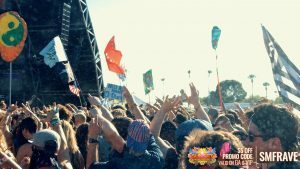 General Admission (or GA) tickets include 2-day entry to Sunset Music Festival on May 25 and May 26. Really, this is all you need to get in and enjoy the festival. Tickets purchased before May 3, 2019, will be shipped. If you buy your tickets after this date, you’ll have to pick them up at will call. Note: As of this post, single day tickets are not available. 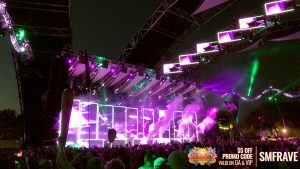 From my experience from past years, single day tickets do become available; however, it is not guaranteed. This is a new ticket tier for 2019. With this ticket, you get admission for both days of SMF 2019 PLUS express entry. Expediting your entry into the festival could be worth it if you find yourself showing up at times when the lines are long. You never know how traffic will be getting to the event or how fast or slow security checks people, so this is a great way to ensure less time is wasted and more time is spent inside raving. 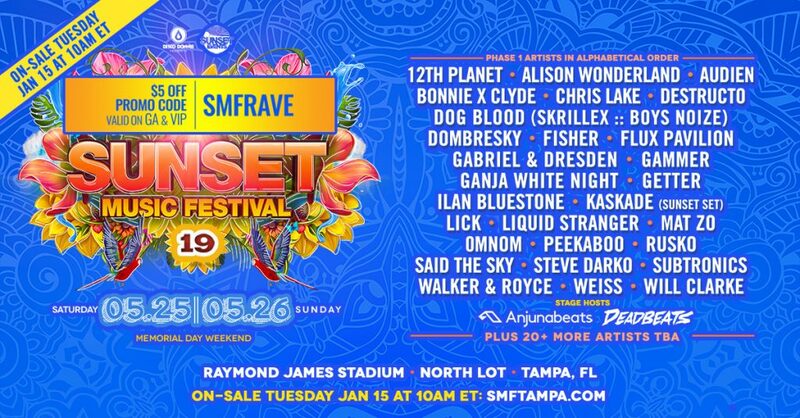 This is the highest tier of admission to SMF 2019. VIP tickets are available those 18+; however, you’ll need to be 21+ to access bars. VIP is a good option for anyone who prefers to have some space but still wants great views of the stages. VIP admission also gets you in faster and access to special restrooms. All of these options save time and add to the experience. 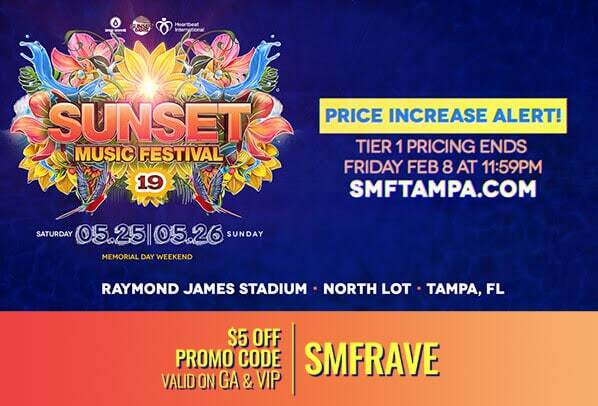 Prices for SMF 2019 tickets are progressive in nature and increase as the festival approaches. That means that the sooner you buy, the cheaper the price. As mentioned a few times in this post, get an easy and instant $5 off each ticket with promo code: SMFRAVE.